There comes a time when every football fan needs to take a hard look in the mirror and ask themselves a very simple question: “Am I doing everything I can to help my favorite team?” If you answered “yes” to the above question, then you better be one of those people who spells correctly and uses proper grammar when commenting on your NFL team’s official page. If you aren’t part of that group, then you’re not helping anyone. Not your friends, not your family, not yourself, and certainly not your team. And you will be called out for it. Geoff Foster of The Wall Street Journal decided to figure out where the supporters of each NFL team ranked in terms of their spelling, grammar, and punctuation. Using Grammarly, an automated proofreading company, he reviewed 150 reader comments from each NFL team’s official website. This provided enough information to properly assess the writing skills of each organization’s fan base. Are you curious about the results? How could you not be? Let’s take a look at the verdict. 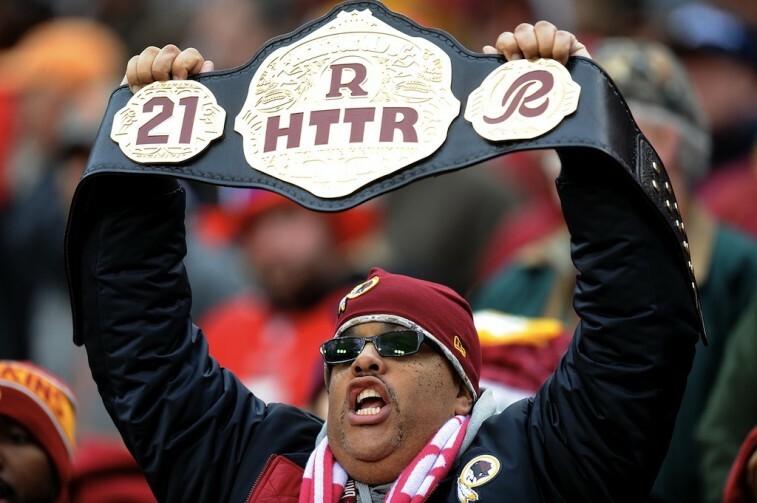 According to the study, the Washington Redskins have the most grammatically challenged fans in the entire NFL. And frankly, it’s not even close. With 16.5 mistakes per 100 words, Redskins fans are 30% more typo-prone than those who support the New Orleans Saints (12.4 mistakes per 100 words). Ouch. The teams that round out the type five are the Miami Dolphins (11.9 mistakes), the New England Patriots (11.6 mistakes), and the St.Louis Rams/Tampa Bay Buccaneers (each with 11.5 mistakes). Of course, it’s not all bad. There are some fan bases that choose to keep their writing skills on point. Detroit Lions fans are ahead of the curve. When it comes to grammatical errors, this fan base only makes 4.2 mistakes per 100 words. Next in line would be the Packers faithful, at only 5.1 missteps every 100 words. After these fans, it’s the supporters of the Eagles, Jets, Chargers, and Jaguars who appear most likely to have received their degrees in English. If you are a member of any one of these fan bases, you should be very proud. Your team may not win the Super Bowl this year, but there’s a good chance you’d be able to properly address your disappointment. It’s not every day we get to analyze sports from a grammatical perspective, so when the opportunity presents itself, how could we not take full advantage of it? In the end, the moral of the story is this: Just because you decide to make a comment on your favorite NFL team’s site, that doesn’t mean you shouldn’t use proper English. You can be better. We can all be better — especially you, Redskins fans. All information is courtesy of The Wall Street Journal.